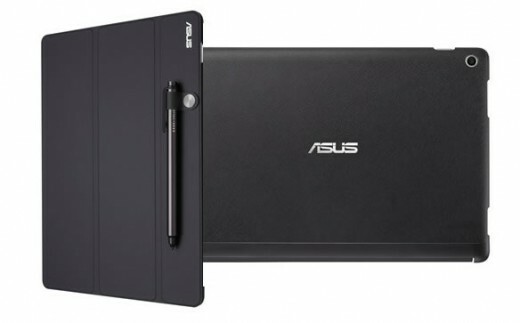 US Asus store now has ZenPad TriCover cases IN STOCK. This is actually a big deal. For the first in the US, you can order an in-stock, Asus TriCover for your ZenPad tablet. Yes, this includes ZenPad S 8.0 TriCover cases! Black color is in stock for the Z300C, Z580C and Z580CA. It appears that the case comes only with a pen holder and we aren’t pretty sure it’s not removable. Same with the ZenPad 10 TriCover, it has the pen holder and again, we’re pretty sure it’s not removable. Lots of accessories are in-stock for the ZenPad 8.0 series also, although the Power Case is shown as “coming soon” and the Audio Cover is not listed at all. If you’re wondering about the Z Stylus or the Audio Dock (ZenPad 10), the Z Stylus is shown as “coming soon” and the Audio Dock isn’t listed at all. The pen holder can be permanently removed. It’s just held on with some adhesive. I removed mine fine, the adhesive did leave a little bit of a dark mark on the case but it’s minor.